Was man mit Papier alles machen kann, fasziniert mich immer wieder. Nun bin ich auf Simon Schubert gestoßen (via), einen Kölner Künstler, der Papier auf geheime Art und Weise so bearbeitet, dass er die unglaublichsten Porträts, architektonische Details und abstrakte Formen auf einem Blatt Papier darstellen kann. 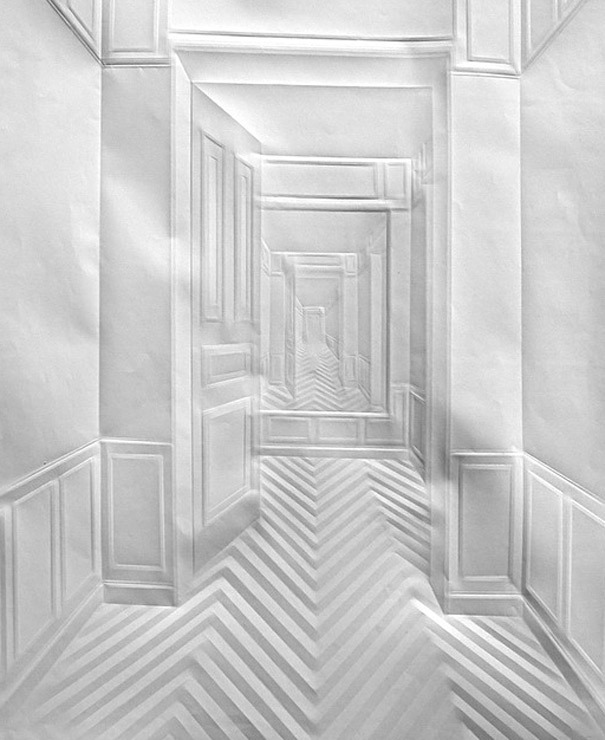 „What inspired you to use paper as a medium and was origami a reference? 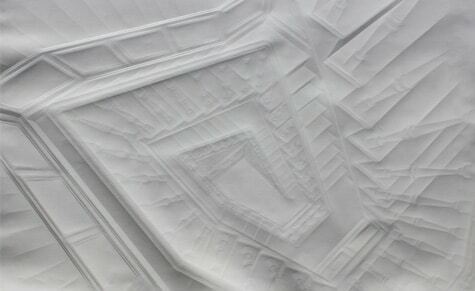 I approached paper more from the point of a sculptor than in the tradition of origami. The first picture was a portrait of Samuel Beckett. I was looking for a way to make a portrait on different levels. 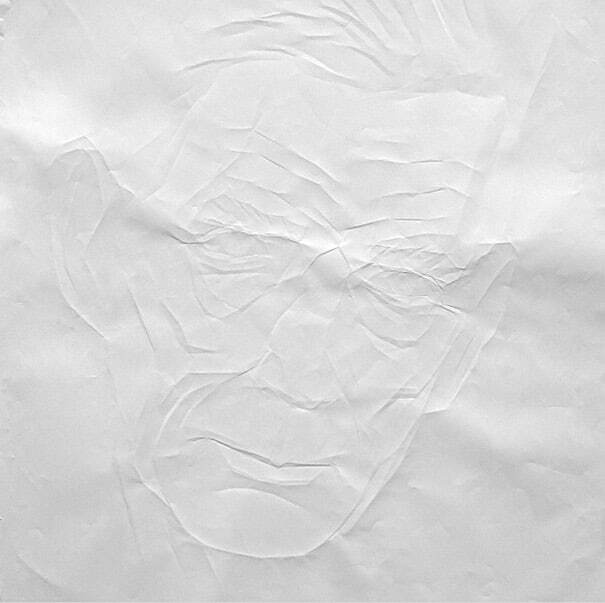 The reduction of the material, the pureness of the white paper and the minimal technique in reference to Samuel Beckett’s work was as important as the folds in the paper resembling the wrinkles in the face. Describe the process of creating your Paper Art? Und diese beschriebenen Themen waren neben dem Material „Papier“ ein weiterer Auslöser meines Interesses. Mythos, Walking the Boarderline, Schatten und Räume, Der geheime Traum heißen so zum Beispiel Ausstellungen von Schubert oder mit seiner Beteiligung.